The SHARKS! WOW! After a few slow hours in the morning the first two days, the remaining dive time was non-stop action with sometimes as many as 4 sharks circling the cages and appearing from the blue from all angles. This trip is both an adrenaline rush and an experience of extreme beauty and awe. 6 Stars! If you want to see white sharks, this is it! … Great ship with a fantastic crew and never-ending delicious food. Way beyond my expectations! From the moment we stepped onto the ship, I couldn’t have asked for a better experience. From the boat, to our room, to the crew, the food, and the diving, I couldn’t have asked for a better experience. We were spoiled from the solicitous crew to 3 days of extraordinary diving. Every day was better than the last and more than a perfect 10! I couldn’t have asked for a better or more memorable trip. Thank you to each and everyone of the wonderful crew!!!! Food was fantastic! Sleeping quarters very comfortable, they thought of everything in the dive area–hot showers, baby shampoo for defog, listerine dips for regulators and plenty of shelving for our photography equipment. Don’t know the chefs’ names but they are excellent. Really great trip and all very comfortable and professional. Excellent trip, wonderful food, and engaging staff. I would highly recommend this trip to anyone passionate about great whites. What can I say. The trip was a once in a lifetime experience. Seeking Great Whites at such close observation was amazing and the crew really made this a terrific trip. Everyone worked so very hard to make sure that the trip was a success and the exceeded all possible expectations. Bravo!!!!! We thoroughly enjoyed this trip. It exceeded whatever expectations we had. The diving and shark action were spectacular, the food was great and the crew a pleasure to have looking after us. We appreciate all the effort to make this vacation experience as enjoyable and trouble free as it turned out to be. Based on the crew and the dive experience, I would have to rate this trip as one of my two favorite in over 45 years of diving. his trip on the Nautilus Belle Amie went above and beyond my expectations! The crew worked so hard and they worked diligently together, taking on responsibilities that might not have been theirs. They treated us like family and were always there when I needed something. I was very impressed how they remembered names of the guests. I only met them (the staff and guests) 6 days ago, but I feel like we have been friends for years. As far as the diving goes, I was expecting it to be fantastic. Even saying that, this trip still exceeded my expectations! I hope to return to Guadalupe Island again and when I do, it will definitely be with the Nautilus team! Thank you much for giving me one of the greatest experiences of my life! I look forward to seeing you again! Meet in San Diego, sail from Ensenada. Slice 8 hours off your ocean transit time by jumping aboard “Shredder”! *90 minute coach transfer plus border clearance. Day 1 – Welcome Aboard! at the latest. “Shredder” (named after one of our favourite great white sharks) usually departs at 7:30pm and will whisk you down to Ensenada in 2.5 hours including clearing the border. Our theory on how shark trips should operate is very simple. Have loads of large comfortable cages in the water (up to 5 cages on the Belle Amie). Open the cages for diving at 6:30am. Leave the cages open until dusk. Have lots of divemasters in the water and on the dive deck to ensure an excellent diving experience for our guests. We provide virtually unlimited diving in our surface cages, and provide at least three dives a day for certified divers in our submersible cages. We love doing Shark ID in the late afternoon, followed by cocktail hour and our famous (and delicious!) Mexican Taco Fiesta on the top deck. – our chefs and hostesses will cook up breakfast to order or save a plate of food for you. Many of our divers love warming up in the hot tub or the dive deck showers between dives. Our water makers produce more than enough hot water for you to shower in your private ensuite cabin whenever you want. The only difference between using the hot tub or your private shower is that we feel more comfortable serving you snacks and drinks when you are in the hot tub… jejeje. Day 5 – The last dive day always comes too quickly! Today is our last day of sharking! We want to give you every possible second in the water at Guadalupe, so we stay on-site until 5pm before swinging the cages onboard and heading back north to Ensenada. This means you get the maximum amount of time possible with your new toothy friends before heading home. It will be sad for us to say goodbye. Hopefully we will see you again very soon. Even though diving with Great Whites is a powerful, amazing experience, we refuse to say it is “once in a lifetime” – many guests get hooked on white sharks and soon return for another adventure. We have been lucky enough to have guests return as many as 17 times! We began by running two shark trips one September many years ago, and now, in 2018, we are offering 72 trips with 1,800+ guests joining us. We cannot wait to welcome you onboard so you can discover for yourself why these trips are so incredibly popular! July and August features rowdy gangs of male sharks.  Female great whites start showing up in August. “Big Mommas” October and November. Surface weather is similar to southern California and can be quite hot during the day and cooler overnight. The best great white shark (Carcharodon Carcharias) encounters in the world are at Guadalupe Island and Nautilus is the best way to get in the water with them. That is a big statement to make, but we can back it up!! The simple truth is that there are loads of great whites at Guadalupe, and a surprising number of them choose to interact with the shark boats. 261 individual white sharks have been identified just in the bay that we dive in. 261 and still counting! Partial proceeds of every trip go towards supporting shark scientists, research and conservation efforts, and the continuing effort to identify and learn more about this population of animals. We typically see 2 or 3 great white sharks at a time on 3 out of 4 submersible dives a day. We dive in aqua blue water, with 125 feet or more of visibility. The island itself is 25 miles long and provides a sheltered and calm anchorage during the 3 dive days. These are stunning numbers and it is what makes Guadalupe Island the best great white shark diving on the planet. We are very proud of our ships, the incredible men and women from around the world who crew them, and our commitment to safety and excellence in guest experience. We don’t think that it is a coincidence that twice as many divers choose to voyage out to Guadalupe with us compared to ALL of our competitors combined. In 2018, we anticipate staging 20,000 dives with our favourite sharkies!! Just the scenery alone at Guadalupe is quite stunning and feels almost like Jurassic park, as if you are at the edge of the earth in the deepest, darkest and most remote part of the pacific. It doesn’t matter if you are a super experienced diver who has seen almost everything, a first-time shark diver or a non-diver braving our shark cages, all are welcome! We cater to a wide variety of dive skill levels and interests – ultimately, it is always about the diving experience. We strive to arrive on site the evening before diving starts, to ensure a nice calm dinner, a peaceful quiet sleep, and as early a start as you wish on your first dive day. Sleeping in and having a late breakfast is also encouraged!! It’s your vacation after all. We put as many cages in the water as needed to provide “freestyle shark diving”, which means that certified divers always get 3 or more submersible cage dives (our speciality) and everyone gets virtually unlimited diving in the surface cages. We say BAH to regimented “hour in/hour out” tightly-scheduled diving and WAHOO to being able to jump into a surface cage whenever you want, for virtually as long as you want. Our cages open early and stay open late. We also ensure you get a full dive day on our last day on station. That’s what we call the Nautilus difference. We love what we do – from our operations team of 11 staff, Mexico shoreside support team of 15, or the 80 crew onboard the ships. Each and everyone of us hopes that you will join us, and we are all committed to providing you with the the best darn possible vacation. Check out our Guadalupe galleries for more photos, and videos, and our blog for the stories!